As we come to the close of another year and get ready to embark on a new year we reflect on the things that we did right and wrong and make an effort to improve for the new year. Data centers will continue to learn from the past, attempt to stay on the cutting edge of technology, provide better service including improved uptime and energy efficiency, and keep information secure. Trends can sometimes be fast in passing, a quick blip on the radar soon to be forgotten. But, sometimes, trends are indicative of a bigger shift in the industry that all are taking notice of and making adjustments to accommodate. One trend that seems to be sticking around is a shift towards reducing smaller computer rooms or IT sites that are outdated and instead opting for data center colocation and cloud computing to meet the needs of most businesses. 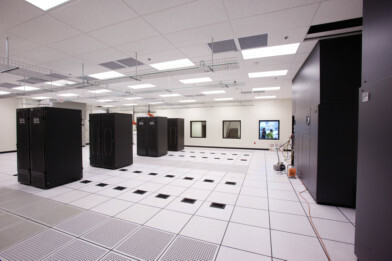 This entry was posted in Computer Room Design, Data Center Build, Data Center Construction, Data Center Infrastructure Management, DCIM and tagged Data Center, data center design, data center equipment. Bookmark the permalink.